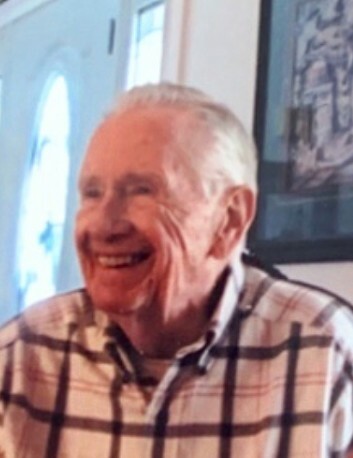 On Friday, March 29, 2019, Edward C., age 91, of Carnegie, formerly of Crafton. Beloved father of Kathy (Jim) Shipley, Dale (Christy) Rhodes, Carolyn J. (Greg) Hall, Scott Rhodes and the late Bruce Rhodes and Lynette Rhodes. Also 21 grandchildren and the late granddaughter Emily Rhodes and numerous great-grandchildren. Survived by wife Sandra. Friends received at the HERSHBERGER-STOVER INC. FUNERAL HOME 170 Noble Ave. Crafton on Thursday 2-4 and 6 until the time of the Funeral Service at 7 p. m. Inurnment, with military honors, will be in the National Cemetery of the Alleghenies. If desired memorial contributions may be made to the Wounded Warrior Project, P.O. Box 758517, Topeka, KS 66675-8517.